Step out in comfort in the Nike Epic React Flyknit 2. Flyknit construction hugs your foot with breathable support. 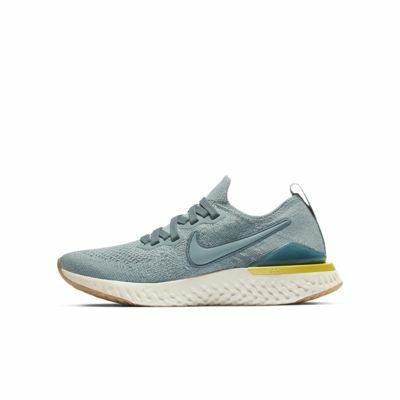 Nike React technology provides a soft, responsive ride that’s durable and lightweight. Flyknit construction is breathable, stretchy and supportive. 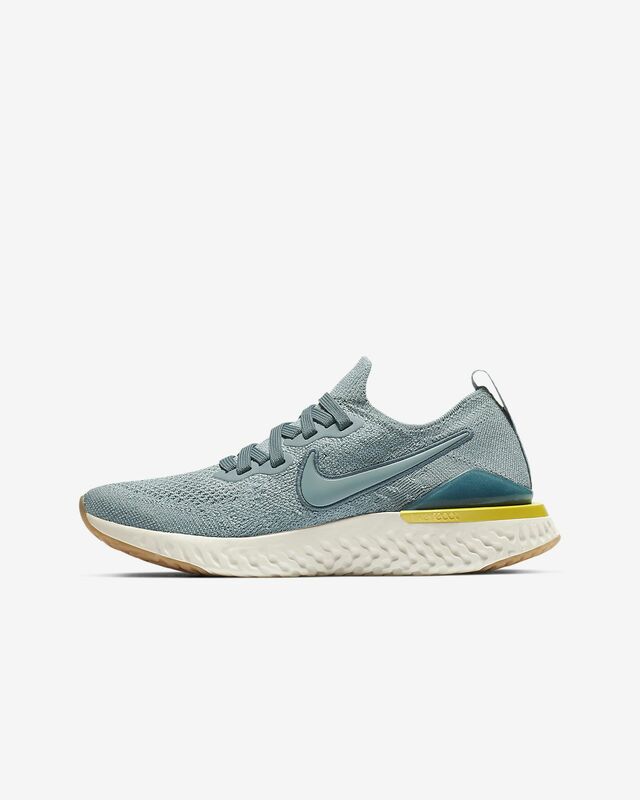 Nike React technology has a soft, smooth and responsive ride. Sock-like sleeve construction is designed for easy entry. Heel clip helps secure your foot and add stability. Rubber on the outsole adds traction and durability. I wear a 7.5 in women’s and a 6 in kid sizes. I purchased a six 6 and the fit is great even with a pair of socks. The toe box is roomy (meaning I can wiggle my toes) My only complaint is the color. The blue is not so visible on the screen. I thought they were white and yes I did not read the info regarding the color of the sneaker. The Sneaker will look nice with denim. Can’t attest for durability yet. Overall I love the sneaker.